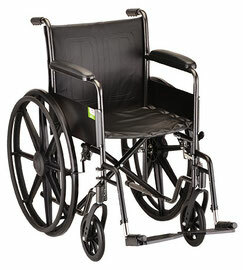 Ultra-lightweight, yet extremely strong thanks to its aluminum and carbon steel frame. 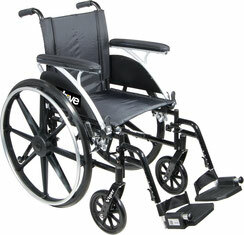 The Silver Sport 2 Wheelchair by Drive Medical has an easy to maintain silver vein finish and a steel frame for durability. 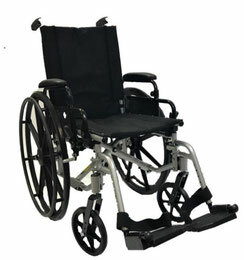 The Drive Medical Viper GT by Drive Medical has an all-aluminum frame that is high strength while remaining lightweight. 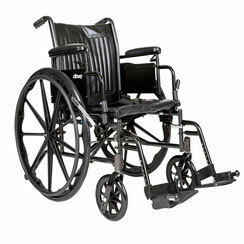 The Converter wheelchair by Merits is an all in one wheelchair that easily transitions from a transport chair to a self-propelled. 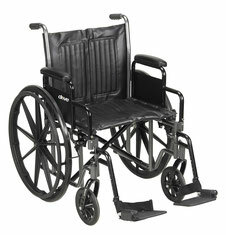 The Acadia Wheelchair by Merits is available in both adult and pediatric sizes. 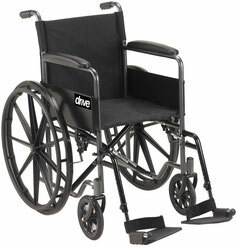 The Rebel Wheelchair by Drive Medical is lightweight and very maneuverable. 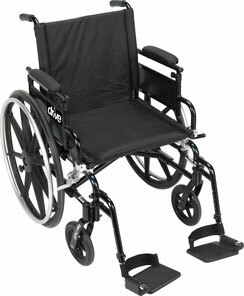 The Chrome Sport Wheelchair by Drive Medical comes a scratch resistant, durable, low maintenance chrome finish. 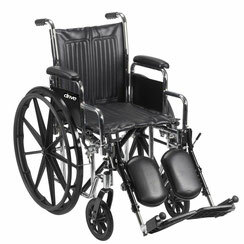 The Cougar Ultra Lightweight Rehab Wheelchair from Drive Medical can be customized in almost every way to fit your needs. 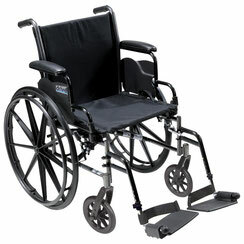 The Deluxe Sequoia Lightweight Wheelchair by Merits features dual axles for converting to hemi-height wheelchair. 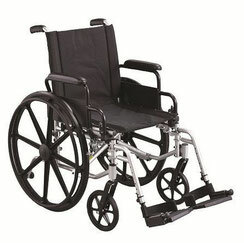 The 18" Steel Wheelchair by Nova is available in a variety of options to suite any user's needs. 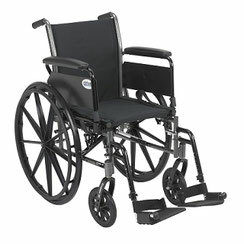 The Blue Streak Wheelchair by Drive Medical has a reinforced frame with a black cross brace for added durability and safety. 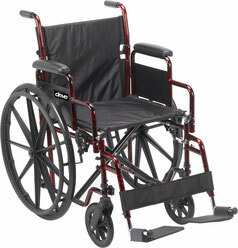 The Cruiser III Wheelchair by Drive Medical has a carbon steel frame that allows for custom back inserts and accessories. 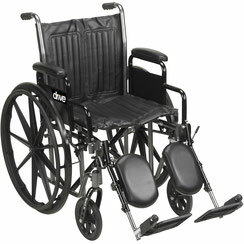 The Cruiser II Standard Hemi Wheelchair by Drive Medical puts user safety first. 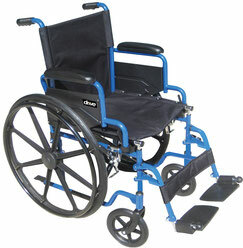 The Sequoia Wheelchair by Merits is an ultra strong yet lightweight wheelchair that weighs under 34 lbs. 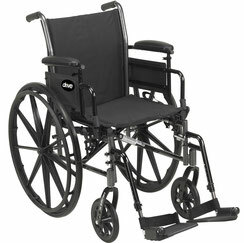 The Silver Sport 1 Wheelchair by Drive Medical has an easy to maintain silver vein finish and a steel frame for durability. 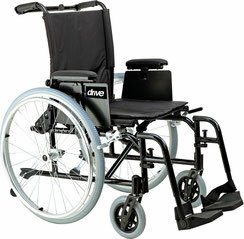 The Drive Medical Viper is a versatile wheelchair is easier to propel and transport than an average weight wheelchair. 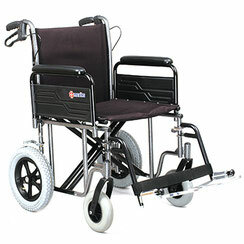 The Glacier Wheelchair by Merits combines an attractive design with light-weight and durability.